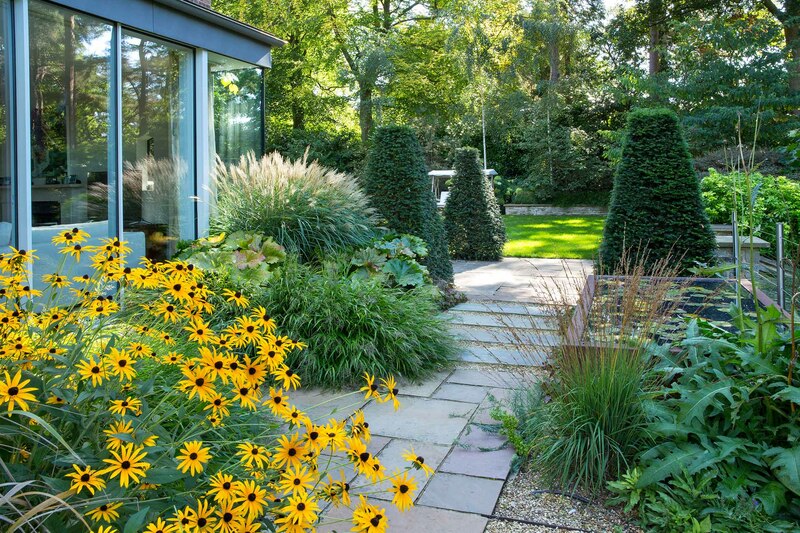 Surrounding this modernised Arts and Craft house the new garden reflects traditional methods of dividing the garden into different use areas. 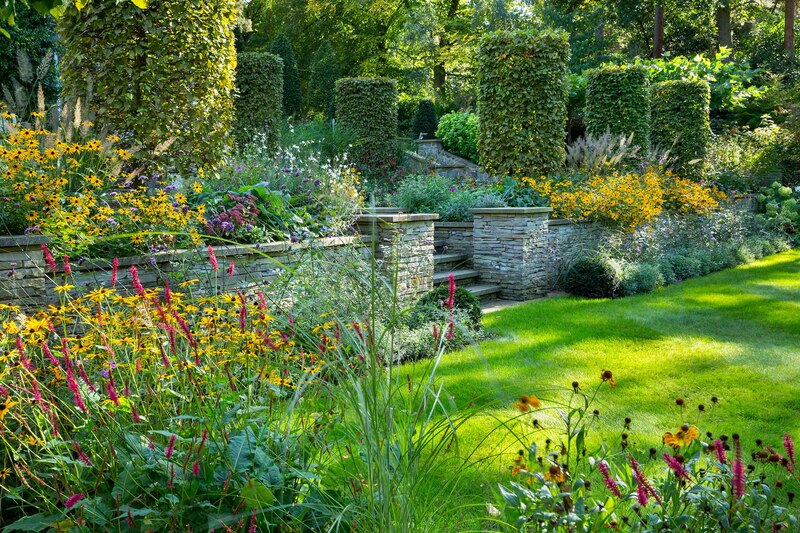 The main seating terrace leads to the swimming pool garden through herbaceous borders outlined with clipped Hornbeam columns. 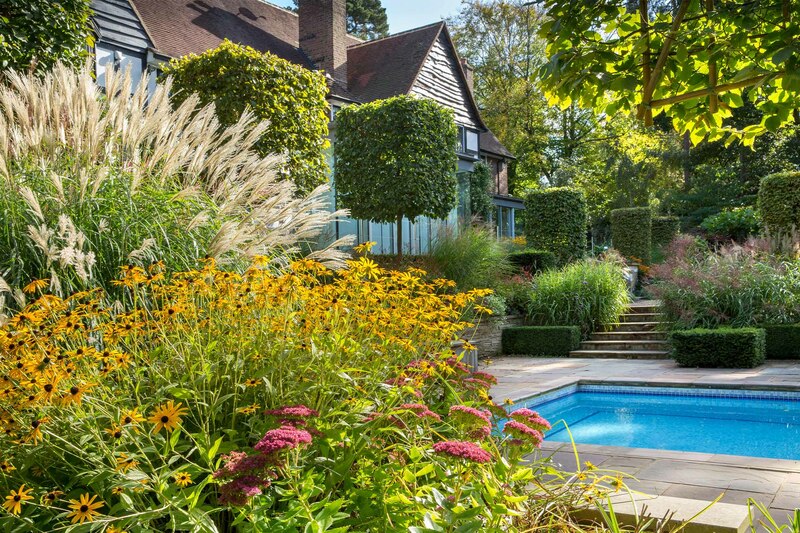 The rock bank garden features a seating area with a fire pit and at the opposite end of the property a raised lily pool garden provides a calming space for reflection. 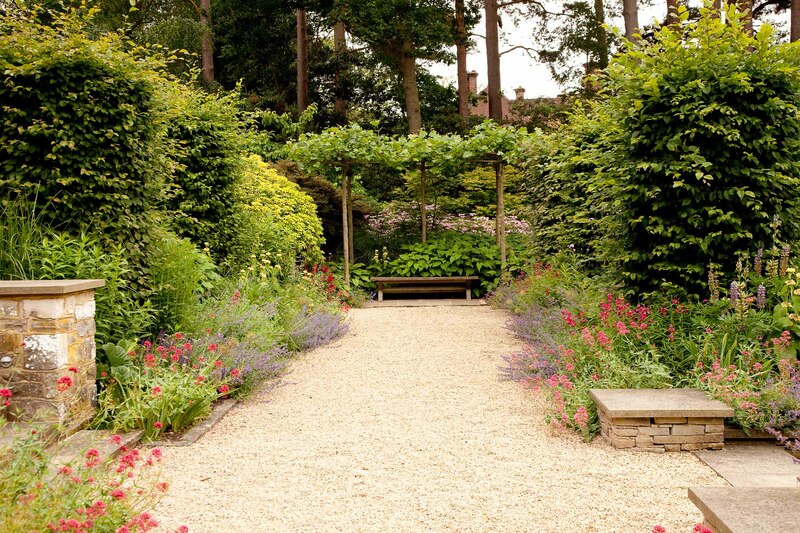 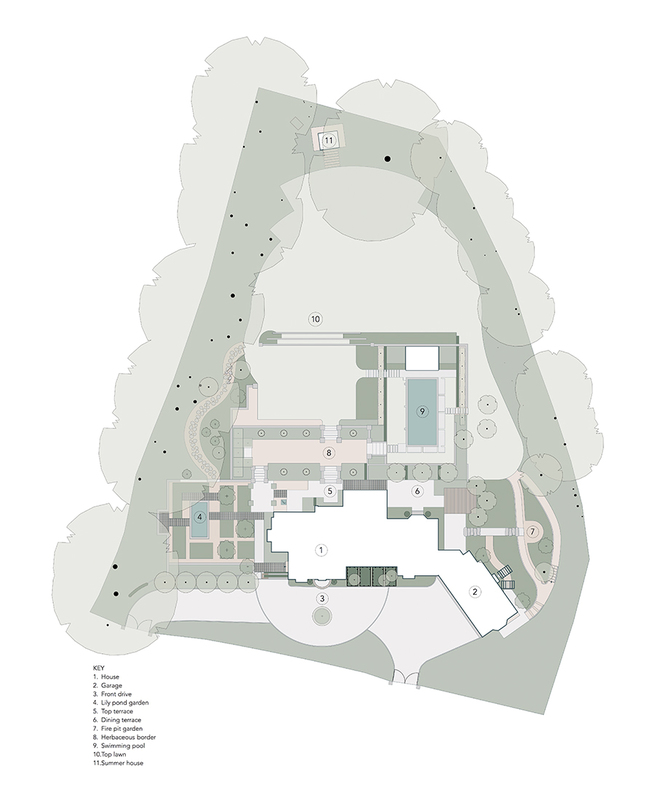 The garden spaces are defined by Yew and Buxus hedging with pleached Hornbeam giving higher level enclosure whilst still maintaining views through the gardens.